At Twitter we work hard to create a safe, secure and an enjoyable environment for our users. This October, during National Bullying Prevention Month, we are excited to promote the bullying prevention campaign #ActToChange. Visit ActToChange.org to take the #ActToChange pledge against bullying, find resources in multiple languages, and check out empowerment video and music playlists. And follow the organizations behind #ActToChange; @WhiteHouseAAPI, @sikh_coalition, and @CAPEUSA. As social media and internet technology continues to evolve, we have taken the insight shared by Twitter users and safety experts on a regular basis to develop innovations to better serve our users. Over the last few months, we changed our reporting mechanisms, overhauled how we review user reports, and improved our block feature. We have also created a new Safety Center portal consisting of resources for anyone who wants to learn about online safety. The portal includes sections specifically targeted for teens, parents, and educators. Bullying prevention initiatives are important but they can’t be successful without the involvement of all of us and our communities. Recently, we hosted a Q&A with the Diana Awards Anti-Bullying Campaign to​ combat cyberbullying​, which featured popular YouTuber Marcus Butler who offered advice to young people about how to deal with bullying and cyber-bullying when going back to school. We also recently partnered with STOMP Out Bullying, a nonprofit based in New York, and the New York Jets to create STOMP Out Bullying Educators’ Prevention Toolkits. Other programs we have contributed to include the NO BULL Challenge, an initiative that uses the power of social media and filmmaking to combat bullying, and Vodafone’s #BeStrong campaign. Bullying prevention efforts are key to stop online harassment and to promote a safe environment for all of our Twitter users. To learn more about Twitter’s stance against bullying and online safety, follow @Safety and check out our list of partners in the Safety Center. Lastly, join us in using the hashtag #ActToChange to share your story and your suggestions for promoting good digital citizenship! Patricia Cartes is Head of Global Trust and Safety Outreach, Public Policy at Twitter. Growing up, sometimes people made me feel like an outsider; I was the perfect storm of nerdy, gay, and Indian American. But now, I’ve come to find that those very things that were sometimes used as fodder against me are the things I love the most about myself. I have the privilege to be connected to amazing communities of incredible people: people who know that it’s actually cool to nerd out about stuff, who celebrate the strength and joy of what it means to identify as LGBT, and who appreciate the rich cultural heritage of being Indian American. It’s okay to be weird, but it’s NOT okay to be bullied. Every day, kids of all ages suffer from being bullied in schools across the country. In the Asian American and Pacific Islander (AAPI) community, this problem is often complicated by cultural, religious, and linguistic barriers that can keep AAPI youth from getting the help they need. And we’ve seen that certain AAPI groups – including South Asian, Muslim, Sikh, Micronesian, and limited English proficient youth – are more likely to be the targets of bullying. That’s why today, during National Bullying Prevention Month, I’m proud to join the White House Initiative on AAPIs, in partnership with the Sikh Coalition and the Coalition of Asian Pacifics in Entertainment, in launching “Act To Change,” a public awareness campaign to address bullying, including in the AAPI community. “Act To Change” aims to empower students, families, and educators with the knowledge and tools to help prevent and end bullying in their communities. In addition to raising awareness, the campaign encourages AAPI youth and adults to share their stories, engage in community dialogues, and take action against bullying. This campaign website, ActToChange.org, includes video and music empowerment playlists, and encourages you to “Take a Pledge” to join the #ActToChange movement and stand up against bullying. As one out of three AAPIs does not speak English fluently, resources are available in Chinese, Hindi, Korean, Punjabi, Urdu, and Vietnamese. “Act To Change” will also feature video testimonials of AAPI celebrity athletes, artists, and entertainers. 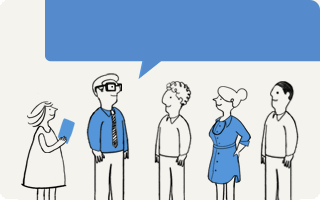 Making influencer and personality commitments. This includes integrating “Act To Change” content in different influencers’ and personalities’ platforms to spread the word. Creating original content for their audience promoting it through their own platforms and talent. This includes creating content that resonates with their particular audiences and doing what they do best: communicating with, engaging, and mobilizing communities to act. As we all know, bullying doesn’t build character, it breaks confidence. Join me in the #ActToChange movement against bullying today. Check out ActToChange.org today and learn more. Help stop bullying by not bullying others. Report bullying that you see or experience to your school and trusted adults. Help someone you see who is being bullied. Spread the word about bullying awareness. Share information and resources about bullying prevention and response. Be proud of who you are and celebrate our differences. Race and stereotypes are intertwined. One of the most common is Asians are bad drivers. Innocuous, right? Wrong. I will never forget the moment my father, mother, and I were denigrated for daring to be Asian and driving. We were in a shopping center looking for a parking spot and just as we were about to stow our car, we were met by a temporary impasse. Another driver wanted the same stall, but my father reasoned that we had secured and waited for the space. What does that even mean? Don’t mind the Asian? Why? What purpose does it serve to be so demeaning? Were we second-class citizens? The subtle yet, powerful remark of the driver implied that we were to be considered less worthy of their time and thought. It is slurs such as those that sting the most and enable the cycle of bullying to continue. A subtle epithet, especially when said by an adult, gives the message to all that it is ok to shrug others off because of their race or perceived otherness. As young people, we must speak up and speak out, even to adults. Silence will only permit stereotypes to become discrimination, and discrimination to become bullying. Let’s stop the cycle of bullying where it starts, from our mind and mouth. Do onto others, as you would have done unto yourself. Treat people kindly and make them feel worthy. Even the smallest and softest words can hurt; but it is words that can also be the catalyst for a positive difference. Benedict Joson is a Filipino American working on sustainable development and youth empowerment projects with The Philippines Foundation. He is a recent graduate of CUNY Hunter College, global youth ambassador for A World at School, development intern at Urban Upbound, VOYCE (The Voices of Youth Changes Everything) director, and a Hope Reichbach Fund advisor. Bullying is unwanted, aggressive behavior among school aged children that involves a real or perceived power imbalance. The behavior is repeated, or has the potential to be repeated, over time. This blog post is part of ActToChange.org’s features of voices against bullying. 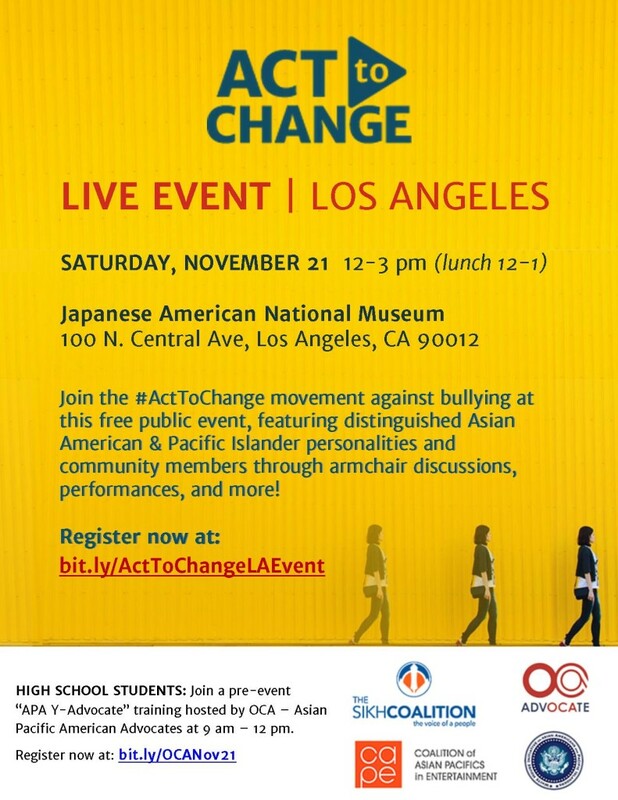 “Act To Change” is a public awareness campaign to address bullying, including in the Asian American and Pacific Islander (AAPI) community. For more information, visit www.ActToChange.org.